Cerapachys augustae, copyright Alex Wild. 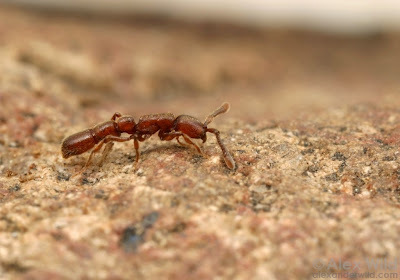 Cerapachys is a genus of ants that are specialist predators of the brood of other ants (Heterick 2009). Characters (from Heterick 2009): Abdominal segments III–VII with divisions smoothly joined, so abdominal outline is even; abdominal segments V–VII with spiracles visible; dorsum of pygidium flattened, margins of flattened area armed with a series of denticles or short spines.